Thank you for your kind words. And thanks for the opportunity to be of service! It is our pleasure to make your outdoor space an expression of your personal style and transform it into everything you want it to be. 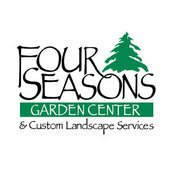 Thanks for your confidence in Four Seasons! You are a pleasure to work with and we appreciate the vote of confidence. It was a pleasure working with you throughout the entire process! Enjoy your new outdoor spaces. Thanks for the opportunity to be of service. Thank you, Josephine, for your kind words. We love what we do! Especially working with such great clients, like you. We are happy to create beautiful spaces to come home to.